Joey is using Smore newsletters to spread the word online. Leigh Hunt had been seriously ill with influenza and when he was visiting his friends Thomas Carlyle and his wife, Jane Welsh Carlyle (nicknamed "Jenny"), she jumped up and kissed him. 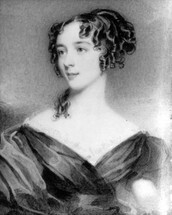 Leigh Hunt wrote the poem as a tribute to her and as a way to show the impact of the disease and time on Leigh Hunt. Jenny to the right. 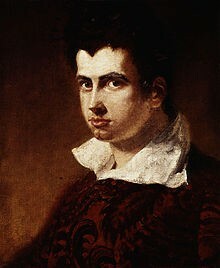 James Henry Leigh Hunt was born October 19,1784 in Southgate, Middlesex. Hunt wrote all sorts of poems even though he never delved into more philosophical meanings in his poems. He was also a writer of The Examiner which fought for the end of slavery, the reinsertion of the Catholic church, and parliament reform. Leigh Hunt died on August 28, 1859.